Humans are creatures of habit, and it can be all too easy to fall into a rut even in loving relationships. We dream of having a long-term, committed relationship but sometimes those relationships become boring. 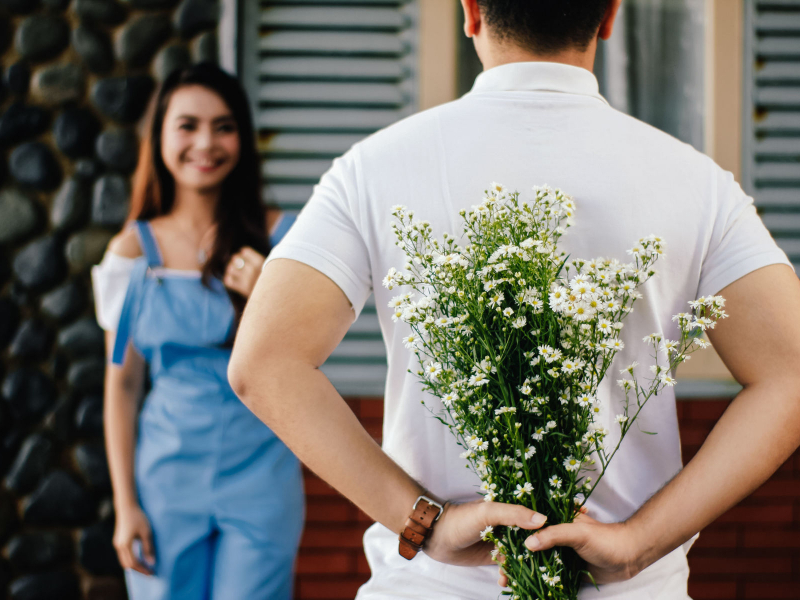 Taking our significant others for granted damages relationships - in fact, the most commonly cited reason that men cheat is not being appreciated by their partners. Read on for ten ways to reignite that spark! Too often conversations become all about mundane tasks. These short, meaningless interactions weaken relationships over time- both people begin keeping their thoughts and emotions from their partner and this eventually causes rifts. Practice keeping communication open. Take time to ask about your partner’s day, or prompt a long conversation. Even small things throughout the day such as compliments and thanking your partner adds that spark! Once we learn what our partner likes, we can become hesitant to switch it up in the bedroom. Make an effort to add surprise and novelty to your love life. Invest in some exotic clothes at Spicy Lingerie and suggest new things to your partner - you never know what he/she might be into! Barbara Streisand famously said her secret to a happy relationship was “time apart”. Although this sounds counter-intuitive, investing in independent hobbies and other relationships actually improves your relationship. Why did your partner fall for you in the first place? They found you interesting and special. Doing interesting things in your life makes you more interesting and balanced. There is a point where you become too independent. If you never get to spend quality time with your partner, consider finding a new hobby you both enjoy. Spending time together will help you reconnect on a deeper level and give you both things to talk about over dinner. Maybe you’ve kind of let yourself go since you met your partner- work, stress and boredom can all lead to a poorer appearance. People feel the spark towards people they are attracted to, so take care of yourself to make yourself attractive for your partner again. Get a fresh haircut, invest in nice skincare or hit the gym. As people settle down into their relationship, it’s easy to suddenly notice all the tiny annoying things your partner does. Instead of blowing up or simmering with resentment, learn to forgive and see the bigger picture. After all, you probably also do a thousand small things that annoy your partner! Prevent the small cracks that come from those small things and you’ll have more time for the romantic moments. Life can be miserable without a sense of humor! If you and your partner see the fun or ironic side of all the daily struggles, it will strengthen and revitalise your relationship. Laughing causes a burst of positive chemicals in our brains and helps us feel connected to others around us. Laughing with your partner is refreshing and will respark that connection. Our surroundings have a substantial impact on us, and sometimes being surrounded with the clutter and mess of everyday life prevents us from feeling romantic. Going on a short holiday to escape the mundane routine and responsibilities of life kickstarts a relationship again by reintroducing those feelings of passion and novelty. Everyone has certain tasks, especially around the home, that they are really particular with. Everyone also has certain tasks that they cannot stand doing. Help your partner and make them feel valued by doing all the small things around the house they hate doing, and your relationship will improve. If you feel like your relationship is dead beyond repair, consider couples’ therapy. Getting professional help will help you better identify the problems holding you and your partner apart, and give you insight on how to rekindle that flame. Hopefully this article gave you inspiration on how to revitalise your relationship!